Folding Detachable Solar Power Bank features 4 x solar panels and a huge 10.000mAh battery that will help you recharge your device and dual USB 2.1 solar quick charging ports adjusts its charging speed in order to prevent over-charging or short circuit. Space-saving, foldable and detachable design for all your outdoor adventures outside activities just hooked ,mount on your waterproof dustproof backpack. 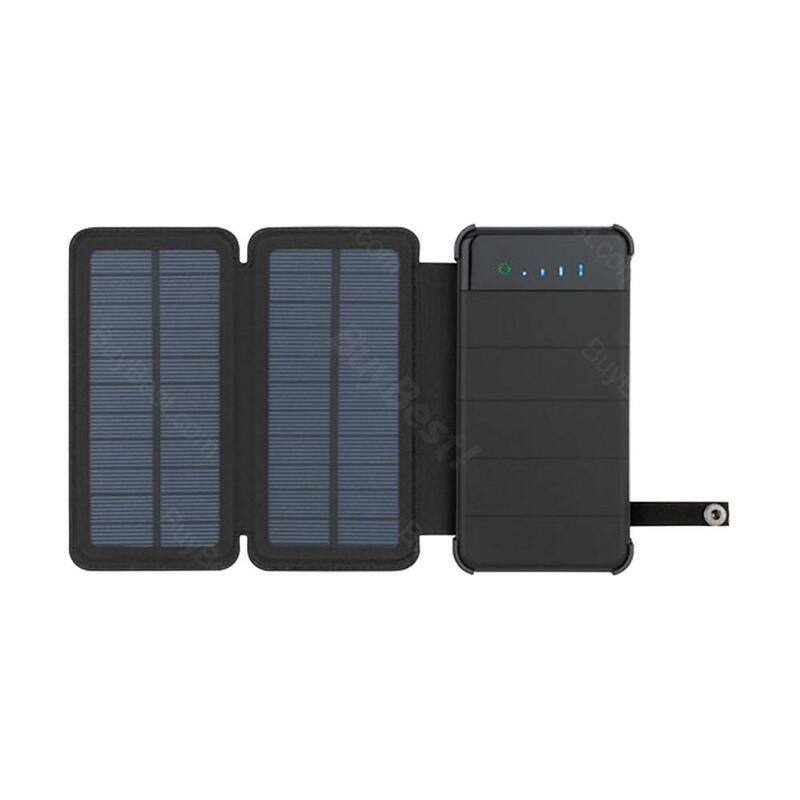 Compact and practical solar cell phone power charger has a built-in emergency flashlight with 3 lighting modes status(SOS, strobe, steady), which will help illuminate your path in the dark from sunlight indicating, call for help in case of an emergency or even use it as a regular camping light. Best gift as a must-have outdoor gadget! • Quick link: Bluetooth Speaker with Power Bank. m a rafting guide and need to have power for myself and guests who are using phones a lot as cameras. So I need something that makes power when it is cloudy. This panel does it. It really is compact and fits in my dry bag and unfolds big. It works on cloudy days. The fast charge battery charges up completely on a bright sunny day in about an hour but I had to read the manual to know which is the fast-charge power cable. Could be labeled better. The fast charge is great to charge up during our one-hour lunch stops. The other charging cables are practical for my car and 12V batteries. 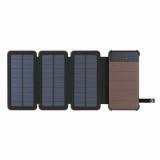 This is a useful charger that does a lot more than other solar panels." Works really well and charges a phone very fast. The only problem is that it does charge a bit slow, wether it be by cable or sunlight. However, when it’s charging in full sunlight, it will just about keep up with charging your phone at the same time. All in all, it is a great product and is very useful on campouts and hikes. Just make sure to charge it the night before. I got this because I go camping with my friends and this is a very good product to have. We have rechargeable lights and phones to charge and the area does not have any electricity. The power bank is light weight and charges 2 items at once. It charges a decent amount of devices and leaving it out allay in the sun charges up the unit. This is such a neat charger! It is great having a flashlight built into the back of your battery port. It is really nice to charge as well since I can leave it open and it charges itself.